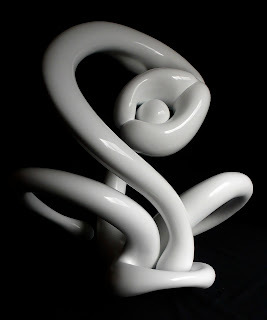 I'm pleased to announce that I have been appointed to the role of Curator for the new Skin Gallery, Melbourne. 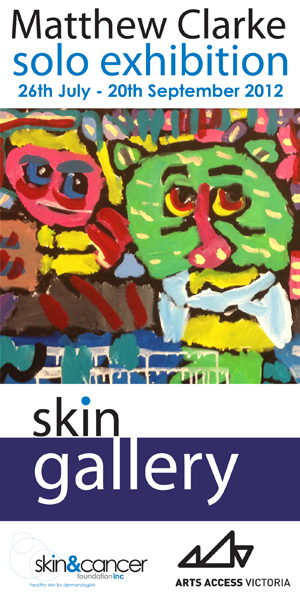 Skin Gallery is an arts initiative created in conjunction with Arts Access Victoria and the Skin & Cancer Foundation Inc. Skin Gallery provides local artists with the opportunity to display their works and a creative outlook for Foundation patients and staff. Level 1/80 Drummond Street, Carlton, Victoria, Australia. METAMORPHOSIS on her blog Anything But Human. 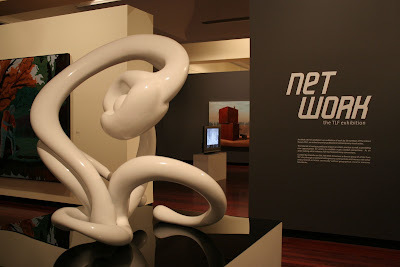 Clarke references the work of Aliey Ball (sculptor/Melbourne), Chris Barron (poet/Melbourne), Moira Corby (artist/Melbourne), Phylicia Daria (Systems Designer/USA), Bruce Dickson (artist/Melbourne), Andrew Garton (musician/Melbourne), Werner Hammerstingl (photographer/Melbourne), Clinton Hayden (photographer/Melbourne), Kyriaki Maragozidis (artist/Adelaide), Mark McDean (artist/Newcastle/Melbourne), Steven Middleton (animator/Melbourne) and Simon Park (scientist/United Kingdom). Anything But Human is a thoughtful, charged and creative hub of information and ideas on the arts, film and theory. If you haven't already visited, I highly recommend you do. Always a fascinating read. The City of Melbourne designed building The Venny - the Kensington Community Adventure Playground was shortlisted in this years Victorian Architectural Awards. 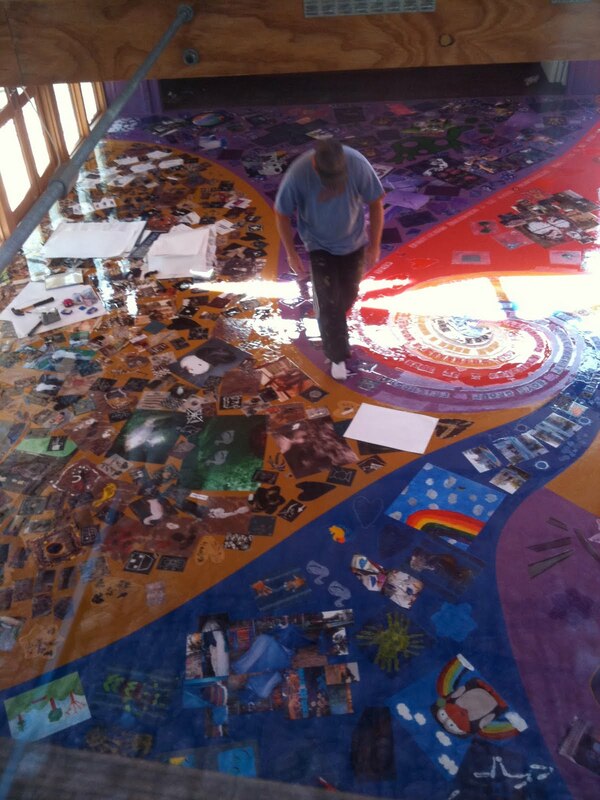 Here is an image of the floor artwork I was commissioned to create for the interior space. Architect: Ralph Webster, Senior Architect, City of Melbourne. This image shows various views of "Heart Shaped Box". a current work-in-progress. 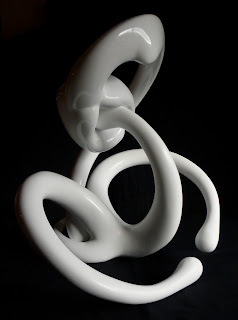 This is one of two works that I will be exhibiting in The Exchange Exhibition. A diverse range of painting, drawing, sculpture, printmaking, photography and more, from artists in regional and metropolitan areas of Queensland, NSW, Victoria, SA and Tasmania." 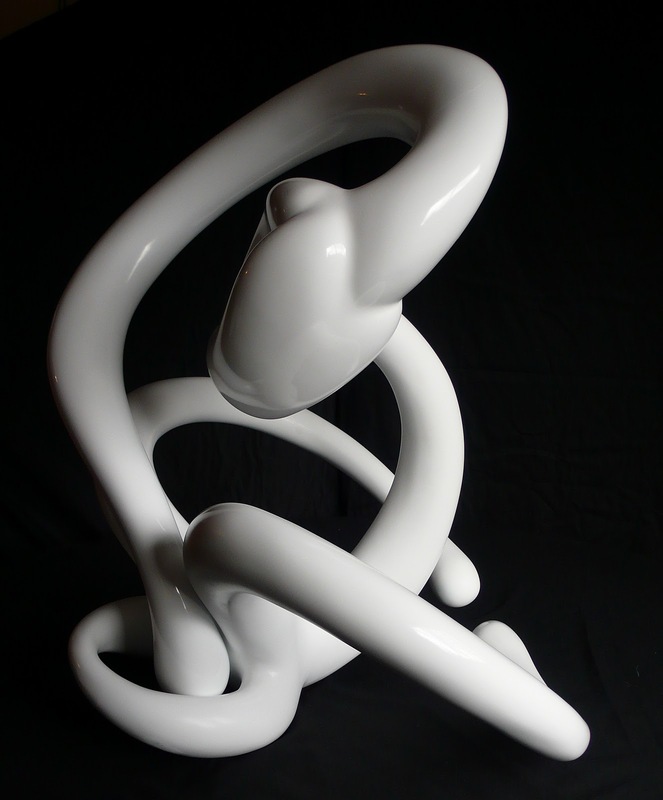 There is still some refining to do, then it will be primed and painted all over in high gloss white. My interview with Lee Martin for My Artroom Online is now available. My Artroom Online is "a connection from the classroom to the art community using a 6 week tele-seminar featuring some of the most successful artists in Australia today." and view a slide show of my work, for the next 72 hours. Just click on the link to register. Aliey Ball is a Melbourne based artist & curator working the public art domain with 15 years professional practice. Committed to community engagement, advocacy for the environment and creating art for the people. Melbourne's freshwater community hub & information portal.